Lucien Febvre was a specialist in the history of the 16th century. 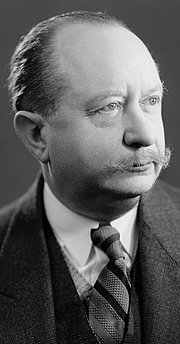 In 1929, he and Marc Bloch, who were friends and professors at the University of Strasbourg, established the journal "Annales d'histoire économique et sociale." They wanted this new periodical to promote a less traditional, more inter-disclipinary approach to history. The two historians favored a colloquial style and a deeper analysis of social, geographic, and economic forces. This became known as the Annales school or Annales movement. Lucien Febvre is currently considered a "single author." If one or more works are by a distinct, homonymous authors, go ahead and split the author. Lucien Febvre is composed of 8 names. You can examine and separate out names.